Microsoft’s just sent out a press release (after the break) and launched an official Zune HD page. 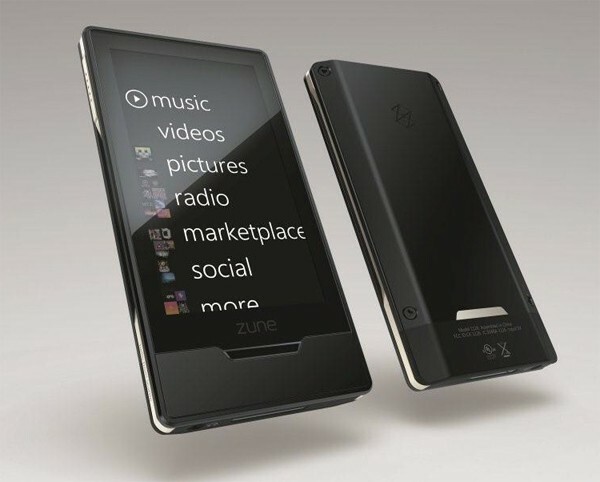 The Zune HD is real, and it’s coming this Fall. 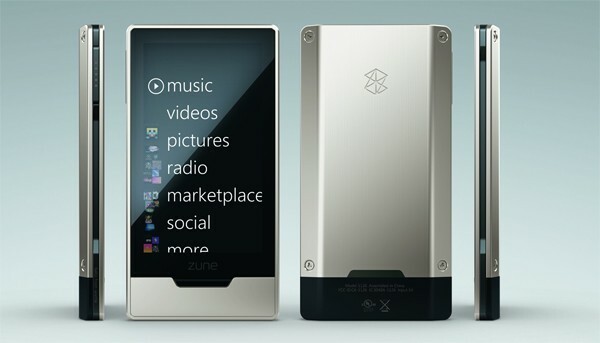 Microsoft officially announced the next iteration in their Zune line today, making it less of a tripped out pipe dream, and more of a totally tubular reality. The specs, which look exactly like that leak we saw, go like this: 3.3-inch, 480 x 272 OLED capacitive touchscreen display, built-in HD Radio receiver, HD output (utilizing a new dock — not on-board), and… not much more right now. Microsoft is doing away with the famed squircle in favor a full multitouch device, and they seemed to indicate that some new touch-friendly apps and games would be headed our way, though they were fairly mum when it came to details. The device will boast an IE-based, customized browser, but little else was said in the way of software. Details are also scarce concerning storage capacities, CPU performance, and other crucial numbers, but it seems like they’ve got more in store come E3… and that’s the next big piece of news. Zune integration is coming to the Xbox and Xbox Live, as the Zune marketplace will step in to replace the current Live video resources, expanding the library and offering all kinds of new perks, like Zune’s first foray into international waters. According to the company, at E3 «attendees will see first-hand how Zune integrates into Xbox LIVE creating a game-changing entertainment experience» — we’re not entirely sure what the means right now, but it sounds sweet. Try to contain your excitement. Picture of black Zune HD, now after the break, which Microsoft is giving out to selected «Zune MVP» sites such as Inside the Circle and ZuneTracks. Microsoft has released RC Escrow build of Windows Vista and Server 2008 SP2. A few selected testers have been e-mailed by Microsoft about this latest build. The build number is 6002.16659.090114-1728 and is very close to RTM version. The build can be downloaded via Windows Update using a small registry script or as a standalone installer or slipstreamed ISO. The ISO version is available in 5 languages: English, Spanish, German, French, Japanese. The build doesn’t support upgrade from previous SP2 build, so you’ll need to uninstall any previous build of SP2 before installing this RC build. When you run Internet Explorer in Kiosk mode, the Internet Explorer title bar, menus, toolbars, and status bar are not displayed and Internet Explorer runs in Full Screen mode. The Windows 95 taskbar is not displayed, but you can switch to other running programs by pressing ALT+TAB or CTRL+ALT+DEL. Because Internet Explorer is running in Full Screen mode, you cannot access the Windows 95 desktop until you quit Internet Explorer. where page is the Web page address for the Web page that you want to appear when Internet Explorer starts. If you do not specify a Web page in the Open box, Internet Explorer opens your start page. Note that the Web page that you specify can be a Web page on the Internet, on your computer, or on another computer on the network. To start Internet Explorer in Kiosk mode and start Internet Explorer with the Microsoft Web site, click Start, point to Run, and then type iexplore -k www.microsoft.com in the Open box. To start Internet Explorer in Kiosk mode and start Internet Explorer with the Example.htm Web page that is located in the My Documents folder on your computer, click Start, point to Run, and then type iexplore -k «c:my documentsexample.htm» in the Open box. To start Internet Explorer in Kiosk mode and start Internet Explorer with the Example.htm Web page that is located on another computer on the network, click Start, point to Run, and then type iexplore -k \servershareexample.htm in the Open box, where server and share are the network server and share on which the Web page is located. To quit Internet Explorer when it is running in Kiosk mode, press ALT+F4. Note that you cannot quit Kiosk mode if you do not also quit Internet Explorer.